Approximate Dimensions: Exterior - 17.5" W X 14.5" H X 2.5" D; Interior - 17" W X 14" H X 2" D; Handles - 4" handle drop; Shoulder Strap (fully extended) - 25" shoulder drop. 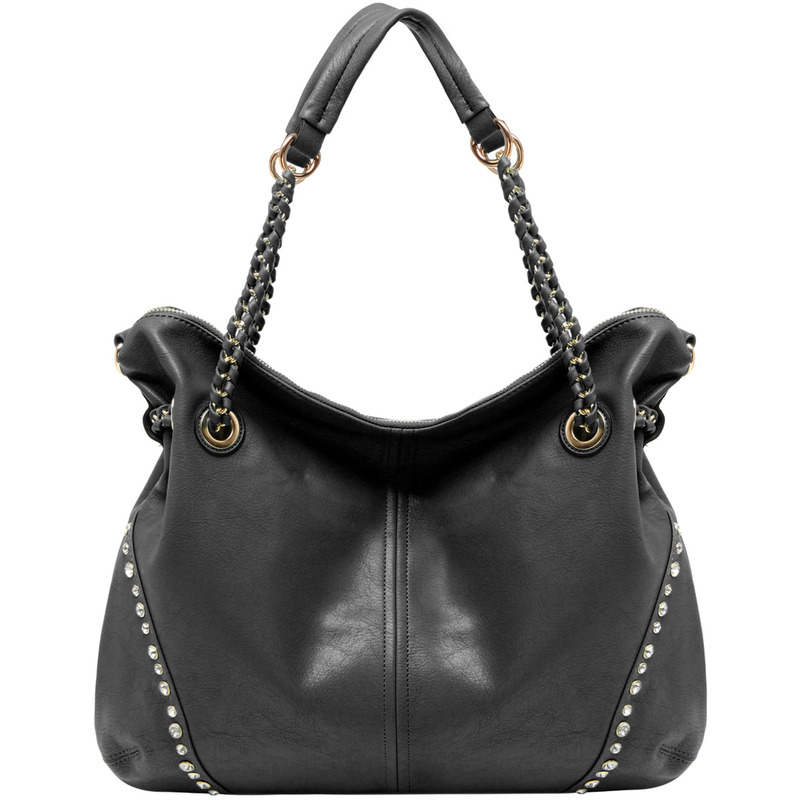 Chase the blahs away from your weekly wardrobe with this stunningly chic women’s handbag! 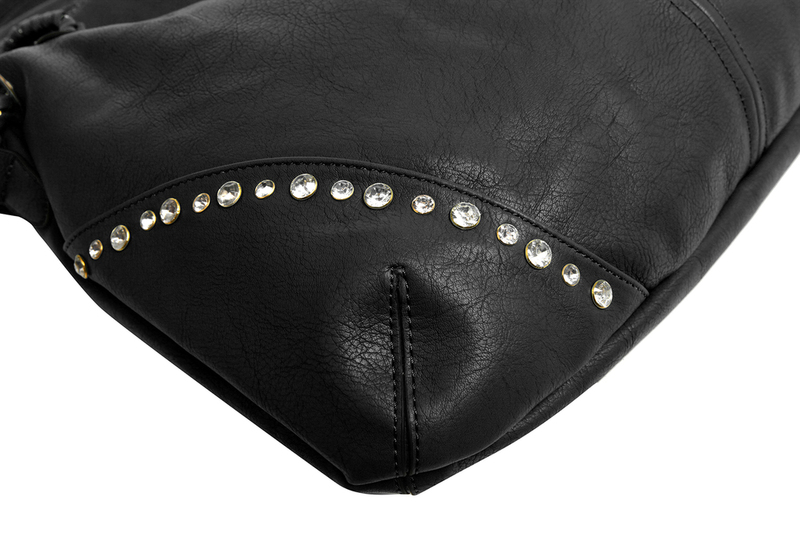 Made of always-stylish leatherette, this gorgeous top handle handbag combines a modern hobo bag shape with dazzling rhinestone studs to create a stunning accessory that is sure to turn heads wherever you go. 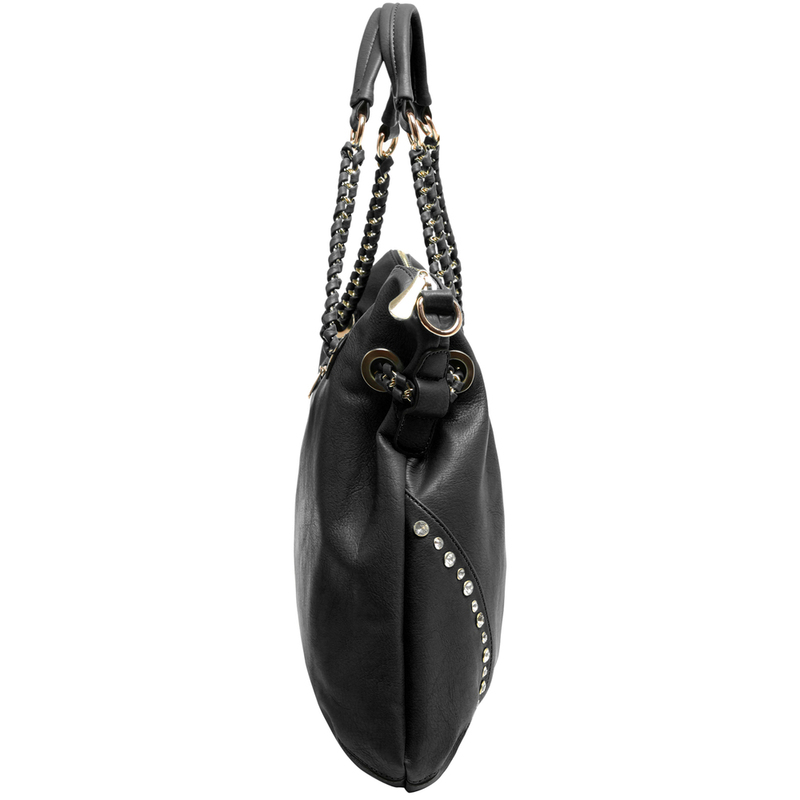 Beneath the stylish exterior and below the zippered top closure, this shoulder bag features a spacious and fabric-lined interior that come complete with 2 slip pockets, 1 zippered pocket, and 1 zippered pocket-style partition that divides the interior into 2 sections. Another zippered pocket on the back exterior is ideal for stashing small items you want to get to quickly, and you can take advantage of the multiple carrying options provided by this daybag’s 2 top handles and 1 adjustable, removable shoulder strap to keep this hobo tote bag by your side throughout the day or night.